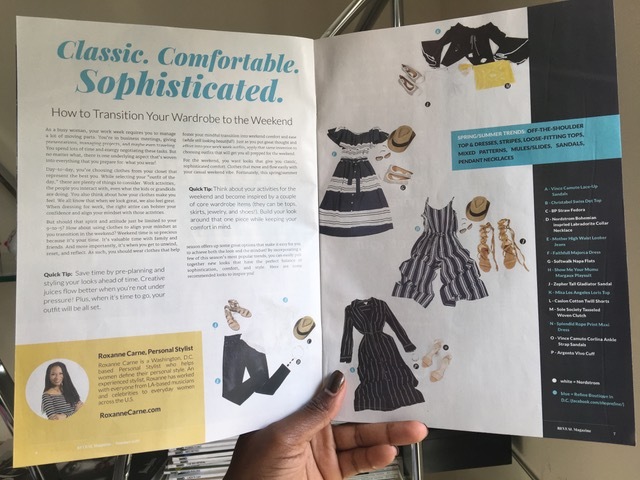 One of my most favorite perks of being a Personal & Fashion Stylist is being able to collaborate with great people, brands, and companies on creative projects such as fashion photo shoots, business branding projects, and magazine articles or editorials! 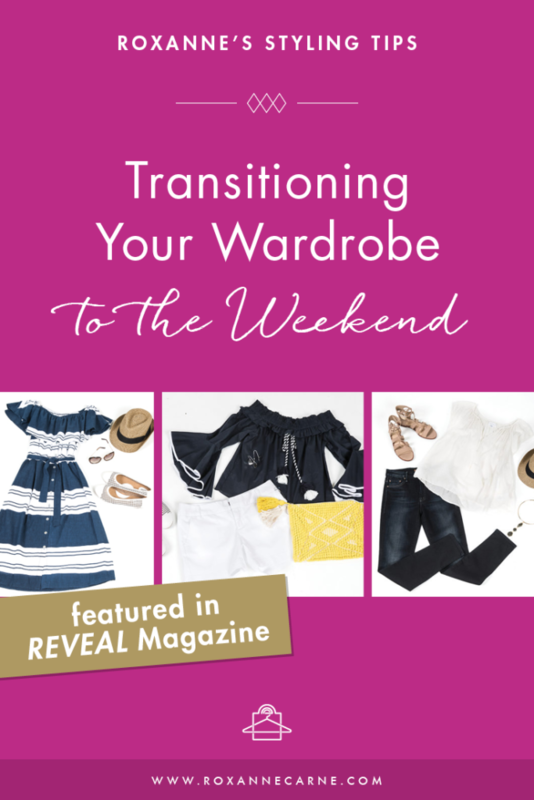 I’m proud to share that I was recently featured as the key stylist for summer styling piece that I wrote for REVEAL Magazine. 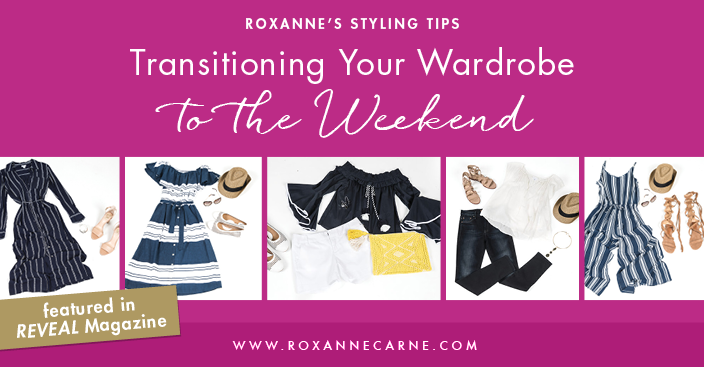 My article is centered on tips on how to transition your wardrobe to the weekend incorporating classic, comfortable, and sophisticated style. To accompany the piece, I also styled some super cute summer looks for the magazine, which just got published last week! For the shoot, I collaborated with one of my favorite shops in the Washington, DC area, Refine Boutique, who provided a majority of the beautiful clothing; and I also pulled some additional clothes, shoes, and accessories from another one of my favorites, Nordstrom! Also, take notice that some of these looks are totally in line with this spring/summer season's fashion trends for women. Pair this Splendid Rope Print Maxi Dress from Refine Boutique with these Vince Camuto Corlina Ankle Strap Sandals and Argento Vivo Cuff from Nordstrom. Find these Vince Camuto Lace-Up Sandals and Christabel Swiss Dop Top at Refine Boutique in DC, along with these fabulous Mother High Waist Looker Jeans. The BP Straw Fedora and Bohemian-inspired Labradorite Collar Necklace can be found at Nordstrom. Trend Alert: Loose-fitting tops, mules/slides, and pendant necklaces! This flirty Miss Los Angeles Loris Top can be found at Refine Boutique. The Caslon Cotton Twill Shorts, Sole Society Tasseled Woven Clutch, and Softwalk Napa Flats can all be found at Nordstrom. This fabulous Faithful Majorca Dress can be found at Refine Boutique. 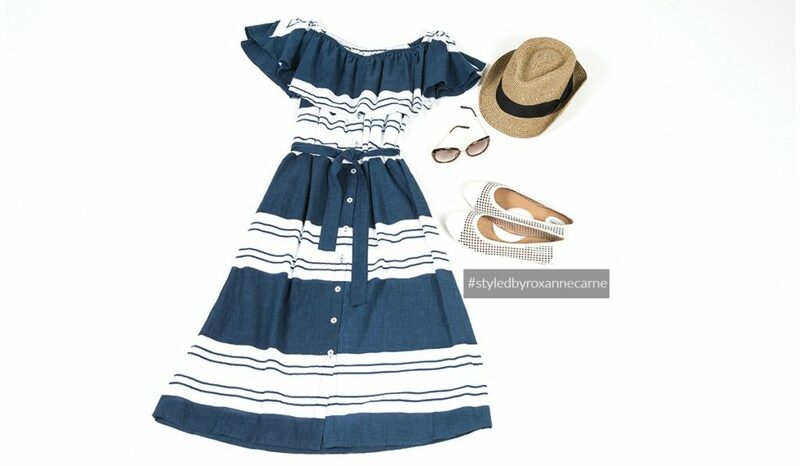 Trend Alert: Off-the-shoulder dresses and stripes. From Nordstrom, grab these Zepher Tall Gladiator Sandals and pair it with this Show Me Your Mumu Margaux Playsuit from Refine Boutique. Trend Alert: Sandals and stripes. So which look do you like the most to help transition you to the weekend? Please comment below – I'd love to know!